One of the biggest current problems with electronic products is the increasing load of consumer waste, as for instance, people in the USA switch their mobile phones at least once in an average of 22 months. This means that more than 140 million of these phones eventually end up in landfills in the USA each year, leaching their toxins into the soil and groundwater over time as the phone materials break down. This issue has become so alarming that there is an increasing trend to export electronic waste, often in violation of existing regulations, to developing nations of the world, only to have the same problem recur there, forming deserts formed by toxic waste. Some nations have taken the initiative to reduce the amount of electronic poisoning of the natural environment. For instance, the European Union passed a directive on June 8, 2011 (Directive 2011/65/EU) which prohibits any electronics containing substances such as mercury, lead, cadmium, hexavalent chromium, polybrominated biphenyls, or polybrominated diphenyl ethers, designated as hazardous substances, from being sold. This is to reduce the levels of these chemicals in landfills by preventing their use in electronic goods such as cell phones, computers, or television sets, among others, and thus reducing human exposure. This type of regulation is very necessary because repetitive lead exposures may impact human health by causing renal failure, hypertension, and dementia, even with relatively low levels of toxic exposure. Any company that is concerned with the sale of equipment designed to preserve human life must also carry out its operation such that its products do not harm human life. For instance, gas detectors are vital to keeping workers safe in many industries, but it is also necessary to make sure that they are designed without lead, which causes serious health consequences. Many European countries do not allow the sale of products which violate prohibited substance regulations, which means that companies manufacturing gas detectors must comply with such laws. 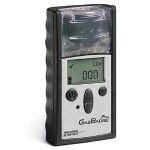 However, even so, if a gas detector is designed to have an operating life of only a year or so, this means that a very large number of such instruments are headed for the landfills each year. Even if these did not contain hazardous substances, such instruments would still pollute the environment. Thus, gas detectors need to be revamped to make their design more conservation-minded. The Restriction of Hazardous Substances Standard (RoHS) helps limit exposure to chemicals in electronics. One obvious solution is to reduce, reuse and recycle the gas detectors. This philosophy has been adopted by millions in daily life, from ordinary milk jugs to tote bags, all of which are recycled as far as possible after being reused to the limit. There are many ways to buy only as many gas detectors as are needed for a company’s safety needs to be fully satisfied without keeping a large pool of reserve instruments on hand. This includes gas detector service programs as well as smart gas detector management software. Such service programs ensure that replacement of faulty or broken-down instruments occurs automatically, by means of software which detects instrument status and orders replacements or components for service, as needed. This avoids having to order a part when the instrument fails its calibration test, and then wait for the part to arrive before getting time to repair it, which could well take weeks. User assignment can be made a simple task by using appropriate software which links user names to the instruments they use through a simple electronic tag. This means the fleet can be kept to the minimum, as any instrument may be reassigned to any user as the need arises, with the users themselves assigning their instruments simply by checking them out. 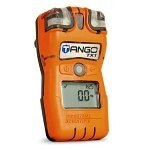 This reduces the burden of user assignment besides bringing down gas detection costs and saves the environment as well. When it comes to gas detection, remember to reduce, reuse, and recycle whenever possible. If a gas detector is maintained well and serviced as required, it can be used for years. Some features which point to this type of build are firmware which can be easily upgraded, batteries and sensors which can be replaced with ease, and similar features which allow the device to be reused rather than replaced. 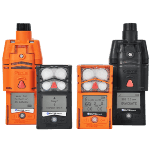 Firmware upgrades are an important way to prevent obsolescence from overtaking the gas detector budget, since they allow existing gas detectors to be upgraded to higher standards of performance without having to be discarded in favor of newer ones. These include free updates of firmware for as long as the instrument is in use, which means the instrument can be employed using the most advanced software but without having to change the hardware. Being able to recharge the batteries and/or replace them reduces the environmental pollution caused by gas detectors, since batteries in disposable gas detectors are among the most significant contributors to this negative impact. It is better to invest a little more on rechargeable batteries which allow the instrument to be used for a long period, than to buy disposable detectors which last a very short time and must then be replaced completely. Replaceable exterior filters are also important in enabling the gas detector to survive accidental contamination without needing a full replacement. For instance, if it falls into a puddle of oil, having a good filter will keep it relatively undamaged and uncontaminated. Using a replaceable filter will enable the instrument to continue working without interruption, as all that needs to be done after such an accident is to remove and replace the spoilt outside filter. This is another way of making sure the gas detector does not negatively affect the environment. Every component in a gas detector that can be recycled should be sent for this purpose, by discarding these instruments in the right location, or if the manufacturers have provided for recycling pickups of worn-out or retired instruments, taking the trouble to use this facility. This prevents them from occupying space in landfills. Guarantees extending through the life of the instrument are one feature that should be looked for at the time of purchase as they hold the manufacturer to keep it running despite the wear and tear of normal use, while the company will recycle any parts that need to be replaced in the process. Service programs not only provide replacement instruments but remove unwanted components for recycling in appropriate ways. Calibration cylinders of gas are necessary for keeping gas detectors in optimum working condition, but users should choose the right size. Some companies that supply the gas detectors will evaluate the usage pattern of calibration gas and direct the purchase of the correct size of cylinder. Too small a cylinder will mean repeated replacements within too short a time period, creating unnecessary waste and expense. Too large a cylinder, on the other hand, means the gas will remain unused in part until it expires. Another option is to use an auto-replenishment program which allows the cylinders to be used with maximum efficiency. If the cylinder is empty, it should be checked since it may be locally recycled if made of aluminum. While making a significant dent on landfill waste composed of electronic items will need years and years of work, we can keep it from becoming worse by using the above principles to make sure that gas detectors are used for as long as possible and then recycled in a responsible manner. This not only saves time and money for the user but helps preserve the earth.